VCalm® 16E - J.O. 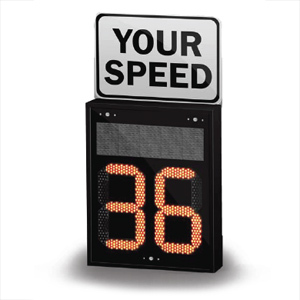 Herbert Co., Inc.
Fortel Traffic’s VCalm®16E is a powerful traffic calming Variable Message Sign (VMS). The small and mobile design makes it perfect for a single operator to attach to vehicle hitch or other temporary stations. This low-cost VCalm® unit includes all the features of a VCalm®VMS with limited messaging capabilities. VCalm® utilizes high-volume high-intensity tightly clustered LEDs to maintain the highest visibility possible. This proven method of authoritative message presentation demands driver’s attention, making it the most efficient traffic calming sign on the market. VCalm® uses proprietary PWMS™ LED technology that consumes 50% less power than common LED technology. Our programming delivers exceptional autonomy for solar/battery installations.